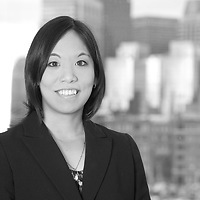 Aimee Fukuchi Bryant, an associates in Nutter’s Trusts and Estates Department, presented at the South Asian Bar Association of Greater Boston’s (SABA GB) program “Elder Law and Trusts and Estates” on April 10. The event, part of SABA GB’s “Know Your Rights!” program series, focused on essential estate planning documents, the probate process, basic income and estate tax issues, and planning for incapacity. SABA GB created the “Know Your Rights!” program (KYR) to fulfill its mission of commitment to community service and to be an integral part of the fabric of the South Asian community in Massachusetts. Through KYR, South Asian community leaders attend ten, two-hour sessions on topics including employment law, consumer protection, criminal law, the court system and legislative process, family law and domestic violence, immigration, Social Security and disability law, Medicaid, and elder care. Graduates of this program leave armed with information and contacts to pass on to members of their respective communities, which span the New England area.